The Solent Forum hosts various information, training and discussion events throughout the calendar year. 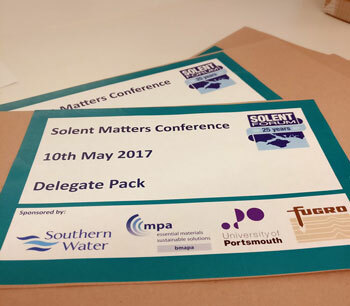 These range from half day bi-annual Solent Forum meetings exclusively for our members to one-day conferences and workshops for coastal practitioners and stakeholders. The autumn meeting of the Solent Forum will take place on 2 October 2019 in Cowes. For full details please refer to our Forum meetings page. The Solent Forum's Natural Environment Group will next meet on Thursday 17 October 2019, at Havant Borough Council Plaza. The Solent Forum and University of Portsmouth ran a joint workshop on the 11th October 2018 to explore research opportunities in the Solent. A delegate list can be downloaded, along with the presentations. On request from its members, the Solent Forum runs workshops on coastal strategic issues. The most recent one was held in November 2018, looking at coastal funding streams. Forum members who may like to make use of this service, please contact the Forum Office with your request.